50mm Green Glitter Metal Medal with Green Ribbon (other colour ribbons are available, please ask). 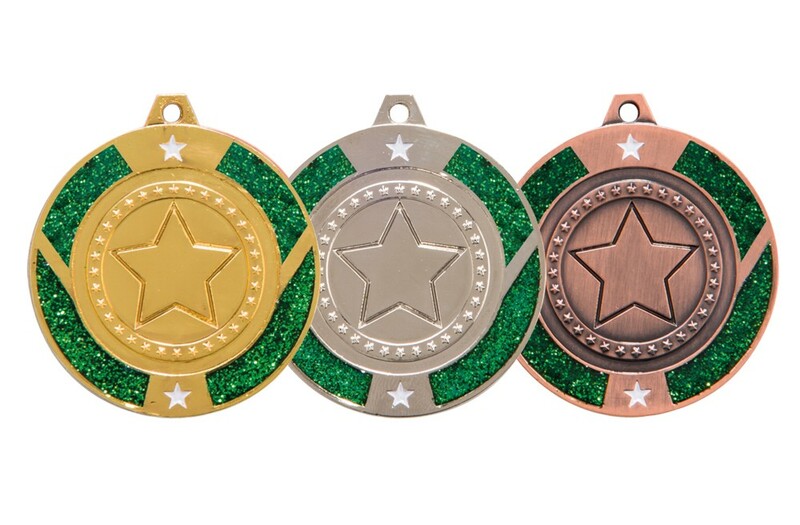 Perfect medals for dance, cheerleading, gymnastics clubs competitions and events. A brand new popular design. Please choose your standard centre to suit your sport/event from the drop down list. Customised centres available for an additional charge.